Human chorionic gonadotropin, or hCG is a pregnancy hormone that is prescribed off-label for use as a weight-loss aid. HCG is produced in the placenta for the purpose of providing nourishment to the fetus and promoting the production of other hormones. While it has been approved for the treatment of infertility and hormonal abnormalities by the U.S. Food and Drug Administration, physicians are permitted to prescribe hCG injections off-label as an appetite suppressant when combined with a very low calorie diet. In the 1950s, an endocrinologist from Britain was working with obese young men in India. Dr. A.T.W. Simeons found that when injected directly into the muscle, hCG promoted the transference of fat away from areas where it tends to accumulate such as hips, abdomen, thighs and buttocks. During this process, while fat is in transition, the body uses it as fuel. For weight loss, Simeons put overweight patients on a very low calorie diet – just 500 calories a day. While on the hormone, he found that dieters were better able to tolerate eating less food than they were accustomed to. This viewpoint, however, is not shared by the FDA. One of the main components of an hCG diet is extreme calorie restriction. Dieters are permitted to consume less than half of the number of calories the National Institutes of Health suggests adults should consume on a daily basis – 1,500 for males and 1,200 for females. Ordinarily, eating so few calories would lead to a ravenous appetite. 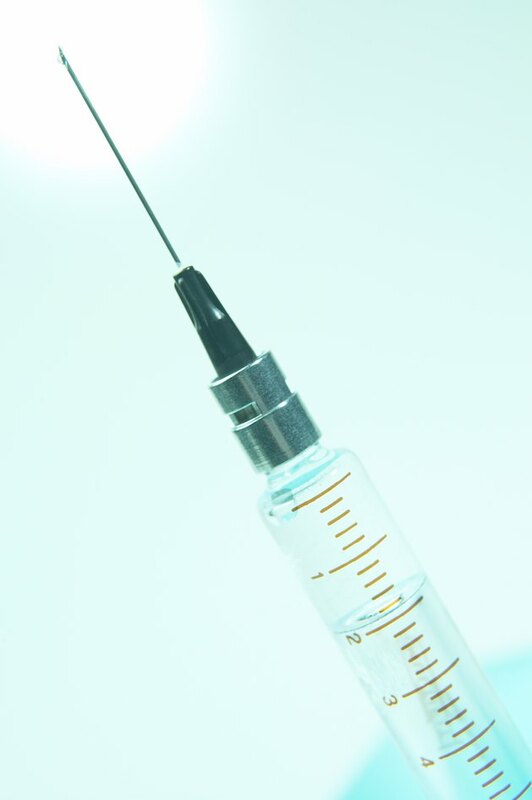 On an hCG regimen consisting of 125 IU of hormone injections a day, patients are not as hungry, proponents claim. Simeons also claims that while the hCG is not responsible for shifts in weight, the hormone is linked to a change in body shape and reduces hip circumference. An hCG diet is a multiphase protocol. Phase one consists of calorie loading. Dieters are encouraged to gorge for two to seven days. "One cannot keep a patient comfortably on 500 calories unless his normal fat reserves are reasonably well stocked," Simeons explains in his book, "Pounds and Inches." Your doctor begins hCG injections on the first day of Phase 2 and calorie restriction begins on Day 3. You will receive hCG injections for 23 days and will diet for 26 days. The three-day discrepancy at the end of Phase 2 gives your body time to eliminate all traces of the hormone. Increasing calorie intake while hCG is in your system, according to Simeons, can cause significant weight gain. Simeons is very clear about what can and cannot be eaten on an hCG diet. For breakfast, you can have a mug of coffee or tea with 1 tbsp. of milk and a sugar substitute. You're permitted 100 g of protein for lunch and dinner as well as fruit, a breadstick or toast and vegetable. During the three weeks you're on Phase 2, sugar and starches are forbidden. You can expect to lose roughly 1 lb. per day on an hCG diet without feeling hungry, claim advocates. FDA-approved labeling regarding hCG states: "HCG has not been demonstrated to be effective adjunctive therapy in the treatment of obesity." It further states that evidence supporting increased weight loss is spare; weight loss experienced through an hCG program is most likely due to calorie restriction. The FDA likewise contends that hCG therapy does not appear to affect fat distribution, nor is there evidence that it diminishes feelings of hunger. Discuss pros and cons with a qualified physician. The FDA cites side effects that may be experienced as a result of participating in an hCG weight-loss treatment plan. These include pain and infection of the injection site as well as increased risked of headaches, fatigue, irritability, swelling, depression, breast tenderness, blood clots, water retention and sudden ovary enlargement, which is potentially life-threatening. Can I Eat Normally While on HCG & Still Lose Weight? What Foods Can You Eat on the hCG Diet?